Not feeling so well, I watched the Superbowl alone. 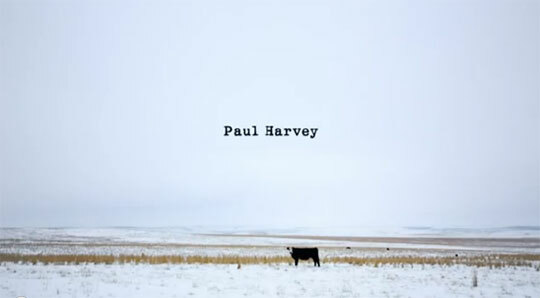 When the commercial came on that featured Paul Harvey reading his ‘so God made a farmer’ piece, I thought “nice tribute” – and nothing more. I woke up this morning to find a buzz surrounding the spot – both good and bad. Some are claiming it the winner of the prestigious ‘best SuperBowl add’ and others are decrying it as a rip off and an overly sentimentalized piece of blatantly romanticized platitude. I am fascinated with the power of words and specifically how, in our culture, there seems to be no understanding OF language and examination of its use. We act like words are just what the appear to be – but don’t look at how the function to re-present (or signify) a greater reality to us. Yesterday at church we had a major conversation about masculine pronouns for god and use of the word Satan. We are going through the book StoryLine by Donald Miller and not only does Miller only refer to god as ‘He’, but god only has classically masculine attributes. I got taken to task for selecting the book as our new year reading. My defense is that ‘it’s just language’. So while it may not be the best language, I never thought that we would swallow it whole – hook, line, and sinker. When it comes to the ‘Satan’ thing, yes – I wish that Miller had used ‘the devil’ or ‘our enemy’ or ‘evil’ or ‘darkness’. I assumed that we all knew it was a kind of personification. Maybe I am just secure in second naiveté for my own good. I didn’t know that we still had to clarify that we don’t believe in an actual ancient cosmic bad guy but that it was a way for us to talk about forces that hurt us and others and destroys the good that God has called us to. Earlier in our gathering we sang the song “How can I keep for singing your praise” and it has the line “I am loved by the King, it makes my heart want to sing.” It’s how language works! It is an analogy. It is comparison. It is not exacting or mathematical. No – I don’t think that god is literally a King. The age of monarchs is over … it is just a classical way to conceptualize. It’s poetic. Which brings us back to Paul Harvey’s “so God made a farmer”. Of course god didn’t make a farmer – it is being poetic. Someone might say “well God did make Adam to care for the garden and to work the soil.” Which is a fair enough point … but in saying that, we are not saying that God made a modern farmer who uses double-axled combines and herbicides made in laboratories. I am suspicious that the reason that we would either get so excited or so upset is if we were lacking a theory about how language works. Then I have to remind myself, we are the same country where a lot of people try to read the book of Revelation as literal – a completely novel way to read the Bible that has sprung up in the just the past 200 years. So maybe that explains both the accolades and the criticism of the ‘So God Made a Farmer’ ad. If you don’t get imagery, poetry, analogy … and think that language represents exactly what it signifies … then I suppose this one would be worth getting all fired up about. 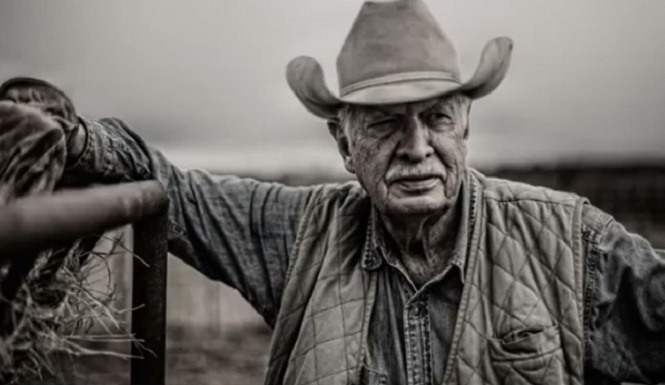 When we say that God created a farmer – we don’t mean that God literally created a farmer. It is a poetic tribute. Noting more. Not worth getting fired up by or upset about. It’s just nice language. One of my projects for the next decade is to take some of the theories of structuralism, and post-structuralism – mix them in with some Lindbeck style analysis and figure out how we are gunna help initiate folks who have never considered this stuff before.